Each time you click on a website or post anything on Facebook, Twitter, or other social media, data about you is collected for future use. Every sector of business collects personal data. As reported in an article on Forbes, we now capture as much data in two days as we did in all of history before 2003. This “Big Data” is used by businesses to predict which consumers will buy existing products, where and when, and what products may be attractive to consumers in the future. Technology captures data about our sentiments, emotions, relationships, conversations, and culture on a daily basis. However, a collection of data is no substitute for human intelligence, insight, and ability to predict and decide. For the data to have value, human beings must be able to draw the right conclusions and use them effectively. It remains to be seen whether Big Data will have a positive or a negative impact on human behavior. 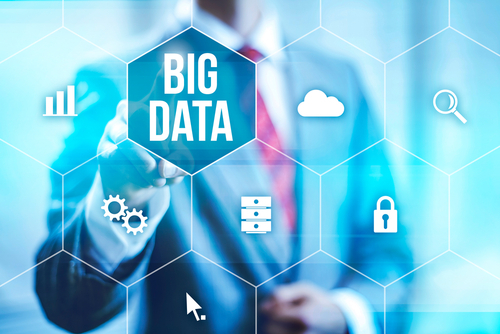 The Pew Research Center conducted a survey regarding the influence of Big Data in the year 2020. Among those surveyed, 53% believed that machine and human analysis of large sets of data will have created a positive effect on social, economic, and political intelligence by the year 2020. A technology author and consultant responding to the survey predicted that points of connectivity will increase as a result of new technology, diffusing intelligence everywhere. A film producer and director expressed the opinion that Big Data will lead us to new ways of looking at things, show us real-time cause and effect of our actions, and result in more conscientious behavior. On the other hand, 39% of the people surveyed were less optimistic about the future effects of Big Data on society (8% did not respond). The president of an internet society predicted that the rise of Big Data will lead to a disturbing situation in which everyone is tracked everywhere all the time for the purpose of security and control. A professor of communications at Northwestern University predicted that the technology will be used by the government for manipulation of “public opinion” sources. As reported by Pew Research Center, several individuals surveyed expressed concern that individuals will become dependent on these databases and neglect their own instincts, to the detriment of risk-taking for the good. A professor of journalism and international communications pointed out that diversity in thinking in cycles, which is extremely important to our society, will be overridden by the majority point of view and push people to conform and lose their cultural identities.